When better to put a so-called ‘cooling gel’ to the test than on some of the hottest days of the year so far? Arnicare… you’re up against it! I’m a big believer in the herbal remedy Arnica… but only recently. I had umpteen women telling me to make sure I packed some Arnica-related products in my hospital bag when I was preparing to give birth to L. They all said that it would help ease bruising…. “down there”. Clearly, I’m a moron… but not spending my precious Boots points on tubes of Arnica was probably for the best. There ended up being no ‘pushing’ involved and Mr. L struggled under the weight of my damn hospital bag anyway. However, after some recent surgery and tremendous abdominal bruising, I remembered this ‘Arnica’ stuff and shuffled down to my local Boots to pick myself up a tube of Nelsons Arnica Cream. I only applied it to the major bruise, which was roughly 6x worse than the other incidental bruises…. would you believe it? The major one ended up fading more rapidly than the rest! That’s me sold on the power of the herb. On last Saturday, the hottest day of my LIFE (melodramatic pause) I pulled out the Arnicare Arnica Cooling Gel and applied. Lots. It didn’t cool me down AT ALL! Gutted. Maybe there isn’t enough of the whole ‘cooling’ properties to make a difference in this kind of heat. I wanted it to feel like an Arctic breeze fluttering around my calves. It didn’t. So I only did one leg… remember, I was really hot. I could barely be bothered to breathe let alone bend over and massage ineffectual cooling gel into my legs. Fast forward 9 hours… it’s 11.30pm and I’m sat there blogging. Under my desk, one of my legs feels bizarrely fresh… fresh like I’ve just woken up. I only noticed it ‘cos my other leg felt like it needed amputating after a day spent running around after a 14 month old. What a strange feeling! Arnicare Arnica Cooling Gel? I think I like you. You might not give me instant cooling relief, but I reckon if I’d massaged you into both legs I’d at least have been able to walk myself to bed. As it was, Mr. L had to roll me. I’m keeping this in the fridge from now on though. Arnicare Arnica Cooling Gel is priced at £4.65 and available from pharmacies and health food stores nationwide. I heard that Arnica gel was really good for lightening dark circles under eyes but as I thankfully don’t suffer from that, I’ve never really used it and funnily enough, I don’t really get bruised (despite being super clumsy) BUT my feet do kill me when I get home from work so I may give this a whirl. How interesting, I’ve never heard of it! I love your reviews, they are always interesting and always make me smile. I used Arnica homeopathic remedies and creams for all my daughter’s bumps and bruises and it was always very effective, so I always keep the remedies and cream in the house for emergencies. 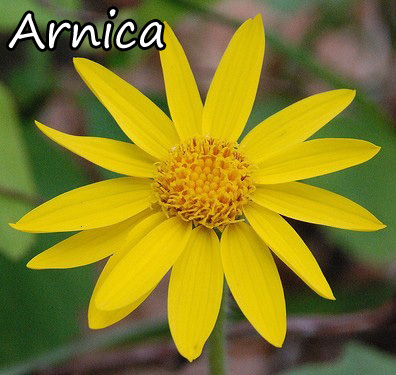 Arnica is amazing! I discovered it when my friend recommended it for bruising as I bruise so easily! She confided in me that when she had a major surgery (breast augmentation! Ouch! ), her plastic surgeon recommended it to her. I use it quite often and picked up the Bioron Arnicare Cream for my undereye circles. Awesome! !